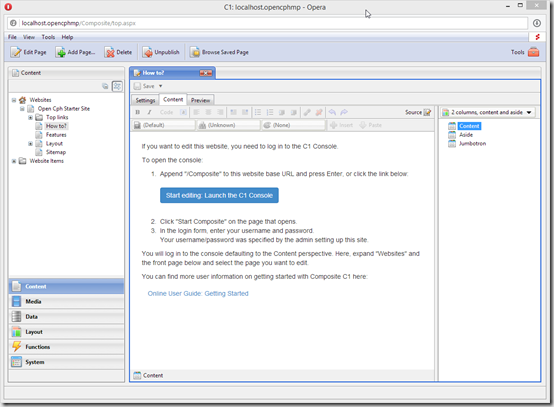 Want to quickly see how the open-source software C1 CMS works? You'll find a free and updated demo installation of C1 CMS here. 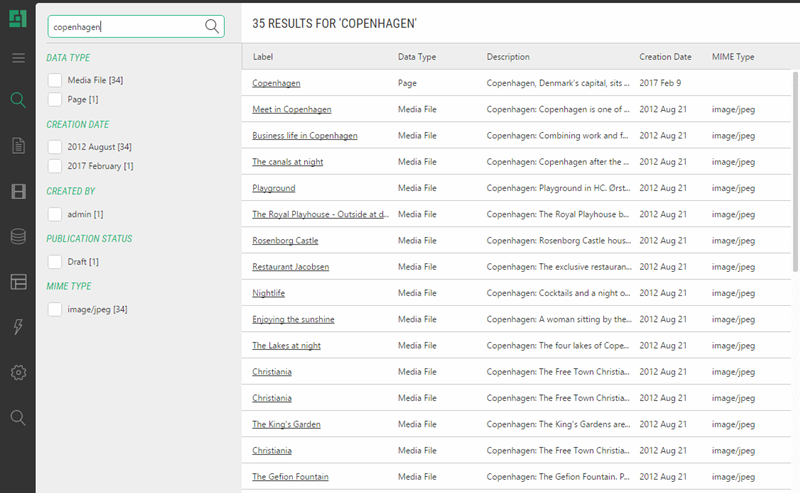 We are currently updating the C1 CMS demo. Please check back shortly. There will be a new version up soon. 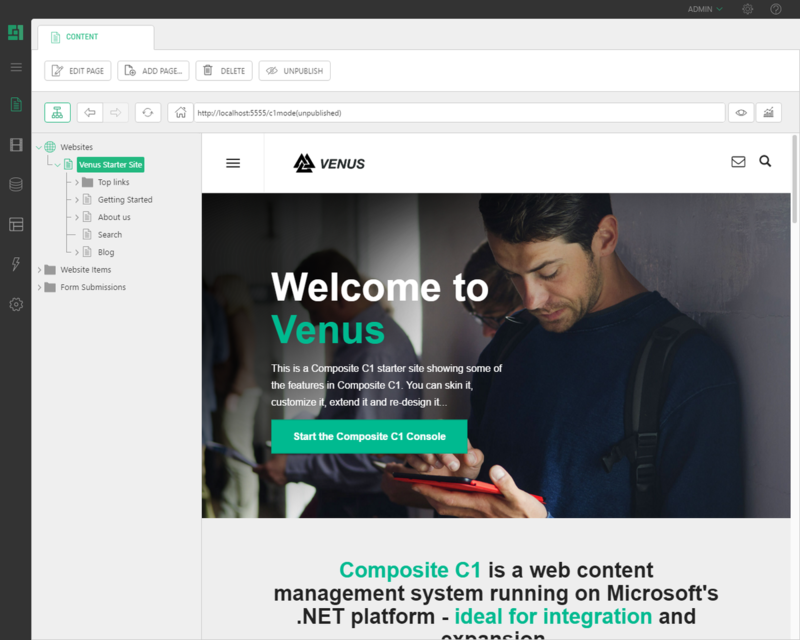 C1 CMS is a free open source, .NET based content management system formerly known under the name Composite C1 & Orckestra CMS. Its development began mid 2007, reached version 1.0 in January 2009 and until September 2010 was sold under a commercial license to clients primarily in Northern Europe. C1 CMS doesn’t use a database and stores its information in XML files. However, it is possible to migrating its data store to a Microsoft SQL Server database. If you want to get a complete review of this content management system you can download the latest version and set up your own C1 CMS demo following the link below. C1 CMS comes with many built-in features like a WYSIWYG editor, content security, multiple document interface and multi language support. The screenshots below give you a preview of how the admin demo looks like. The functionality of your online demo can be extended through modules and you can also change the appearance of your demo site by installing new themes. The latest version released is 6.1 and it became available for download on April 26, 2017. Before setting up your C1 CMS demo make sure you meet all the system requirements to make sure your online demo works properly.